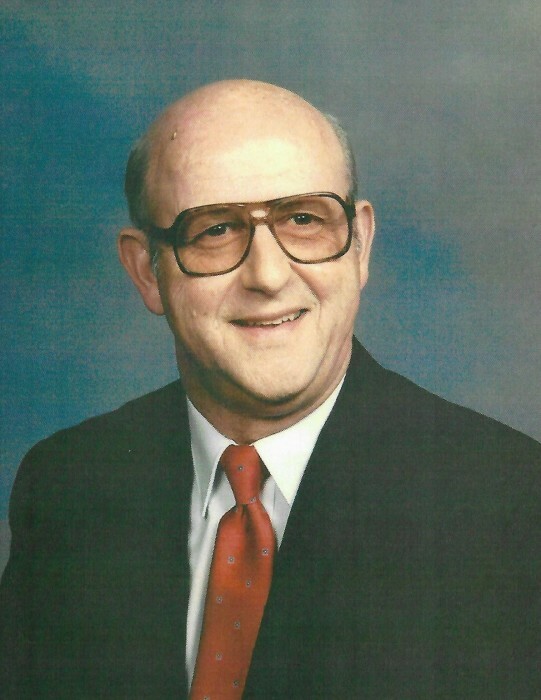 Hagerstown, MD – John Warren Slayman, 86, of Hagerstown, MD and formerly of Williamsport, MD passed away on Tuesday, April 9, 2019 peacefully surrounded by his family at Williamsport Nursing Home Williamsport, MD. He was born on September 16, 1932 in Hagerstown, MD to the late Guy and Nannie Findley Kendle Slayman. He attended Hagerstown High School Hagerstown, MD. He was employed by General Motors in the Part Distribution Department in Martinsburg, WV for 21 years until retiring in 1989. He was previously employed by M.P. Moller Organ Company of Hagerstown, MD and Hoffman Chevrolet of Hagerstown, MD. John was a veteran of the U.S. Army serving during the Korean War. He enjoyed spending time with his family and his grandchildren, who were the apples of his eye. John was the Mayor of Williamsport for 20 years. He also served on the Town Council and was the Assistant Mayor. He was very proud of his faithful service to the Williamsport Community. He and his family were very dedicated to Williamsport. He was a member of Rehoboth United Methodist Church Williamsport, MD. John was also a member of Potomac Post #202 American Legion Williamsport, MD; lifetime member of Williamsport Volunteer Fire & EMS, where he was an EMT and Past President; Maryland Municipal League; and a past member of the C&O Canal Committee. Mark Hays at home; granddaughter Lily Elizabeth Bridendolph at home; sister Elizabeth Mae Clowdis of Williamsport, MD; sister Nancy C. Moats of Hagerstown, MD; brother Elvin P. Slayman of Hagerstown, MD. John was predeceased by his son Warren Steven Slayman on July 27, 1994; brothers Guy L. Slayman, Edward L. Slayman, George K. Slayman, William A. Slayman, Robert L. Slayman, and Eugene R. Slayman; two sisters Etta L. Bartles and Margaret V. Slayman. The family will receive friends at the Osborne Funeral Home 425 S. Conococheague St. Williamsport, MD on Thursday, April 11, 2019 from 7:00-9:00 pm. The funeral home will be open after 9:00 am on Thursday for the convenience of family and friends. Funeral services will be held at Osborne Funeral Home 425 S. Conococheague St. Williamsport, MD on Friday, April 12, 2019 at 2:00 pm with Kevin Smoot officiating. Interment will be in Greenlawn Memorial Park Williamsport, MD. Military services will be provided by Joint Veterans Council of Washington County and Marine Corps League of Hagerstown, MD.